India, 16 February 2017: RailYatri.in, a train travel marketplace, has recently launched milk delivery service for train travellers. For the first time in India, warm milk will be delivered in specially designed spill-proof thermo packages. The milk for babies can easily be ordered through the RailYatri app and delivered at the designated stations. RailYatri.in analysis found that in more than 80% instances, trains are not prepared to serve baby food or milk to passengers. Also getting hygienic This is a very disturbing fact and one that has become pack and parcel of train journeys in India. Long delays and uncertainties that often mark train travel add to this persistent problem leaving travelling parents in a big fix. “Train travel can have some severe hurdles when you are travelling with an infant. Our effort is to make sure no mother goes through the agony of seeing her hungry baby cry. Keeping such emergencies in mind, we will now deliver warm milk for babies in hygienic, spill-proof packages. We already serve great meals for the entire family, so why should the little ones’ need be unattended,” says Manish Rathi, CEO and co-founder, RailYatri.in. “Parents usually carry their baby's food and milk along. However, in case of unforeseen situations like long train delays or if someone forgets to carry baby food, you now do not have to worry about milk for your child. We have taken special care to deliver milk in the best condition, with emphasis on hygiene and quality packaging,” explains Rathi. 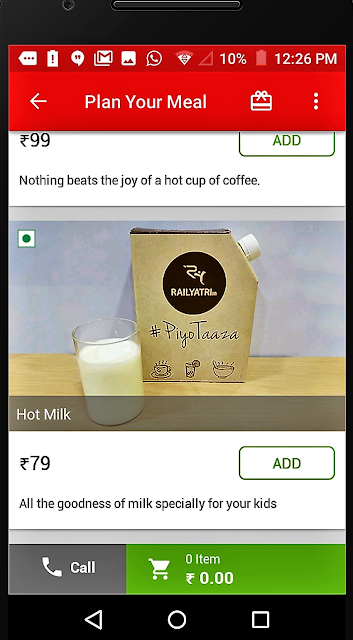 Ordering milk is a just few taps away and can be done through the RailYatri app anytime, anywhere. And once you order, milk will be delivered right at your berth without you bothering about getting off the station and collecting it. With multiple payment options, you can also order milk for your near and dear ones who are travelling without you. Getting warm milk for your child on your train travel is a step forward towards simplifying train journeys for each passenger, and this has been RailYatri’s constant endeavour. RailYatri.in is the #1 train travel community in India. 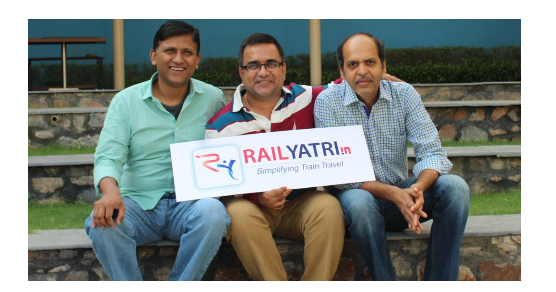 Noida-based RailYatri.in was set up in 2011 with a mission to simplify train travel with Manish Rathi (Computer Science, Western Michigan Univ, US), Kapil Raizada (IIT Kanpur, IIM Bangalore) and Sachin Saxena (IIT Kharagpur, Standford) as its co-founders. RailYatri.in launched its consumer products in early 2014 and has seen a rapid growth since then. Manish has a Masters in Computer Science from Western Michigan University and has more than 20 years of industry experience including Bell Labs, July Systems, and GlobalLogic. His area of expertise lies with designing and engineering scalable Consumer Products/Services which utilizes networked information models. Having worked closely with Indian Railways for more than 3 years – Manish has hands-on experience of how operating information and data flows in Railway networks. Kapil Raizada, co-founder, RailYatri.in has been helping build technology products for the last 15 years, and enjoys gaining insights by analyzing consumer trends and behavior patterns. An ex-IIT ian and ex IIM-B ian, he is analytical in approach and likes to put a measure around activities to help ensure that at least every effort be a learning, if not always a success. Kapil is rather reserved and prefers to spends free time at home with family or within a small group of close friends. When not building technology products, Kapil likes to play squash and badminton. He believes in travel as a great form of learning and takes time out for trips, especially train trips, with friends and family. Sachin Saxena, an IIT and Stanford, Georgia alumni, handled many leadership roles in Product strategy, management and services. With over 20 years of work experience, Sachin has gained expertise in driving and growing strategic consumer value props. Based out of the US, Sachin plays a significant role in the growth of the company. This new app gives you all the vital information needed for travelling via trains. It has been awarded the #1 Travel App in South-East Asia. 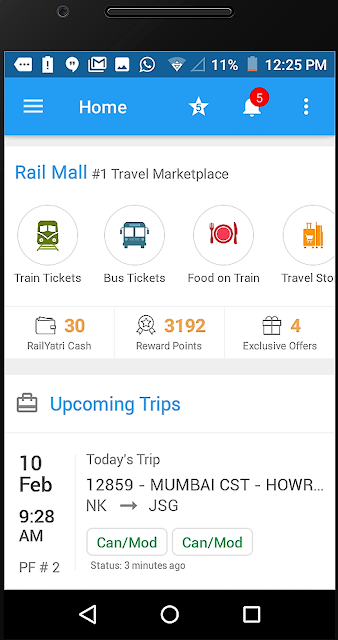 With the RailYatri app, managing train travel is a piece of cake. The app is available on android, iOS and Windows allowing users to get unique and helpful information such as nearby stations, alerts, directions, maps, PNR status and more. o RY Alert System which gives you all the schedules and reschedules for trains and stations. Live Train Status for finding out whether the train is running, its present location and its delay status. o Arrival/Departure of all trains up to eight hours. o PNR Status: Not just PNR status but PNR prediction also. This is the beat app to know the confirmation chances of your waitlisted ticket . o Time Table, so you know how to plan all transit times or make your choice wisely. And it has bells and whistles with routes. o Train between Stations for finding the days the train runs or anything connected to train running status. o Platform Locator: One of the most useful tools as it saves so much time, especially when you are boarding from a huge station like New Delhi. It gives you the anticipated Platform for your train, helping you head straight to the correct platform without stopping by at the Enquiry counter. o Seat Availability will help you with ‘confirmation probability’ for every train, route and seat. o Fare Calculator is a simple way of knowing the price break-up of your ticket. Provide the train number or name and see the fare for the entire route. And it gives a breakup of all charges such as catering charges, super fast charge, etc. o Rail Wisdom: Know the station and the surroundings are a great way to experience a place. This is an interesting feature which tells you different things about the station you are on. For instance, for the New Delhi Railway Station a traveller has shared that ‘there is a small little railway museum souvenir shop at this station’. Another one wrote, ‘There tends to be heavy rush at both Paharganj and Ajmeri Gate exits between 9-12 pm since about 8 Shatabdi trains arrive at this time. Take a radio taxi rather than someone dropping/picking you’. o GPS Train Locator and Speedometer: You can know your location, past and next station on your route. Even details such as distance in kilometers for the stations, status of the trains, speed at which the train is running with respect to its designated speed (too slow, too fast, normal). o My Trips: The umbrella under which you can organise your travel and keep it simple. o Local Trains: Information on local trains for cities such as Mumbai, Kolkata and also a few tier II cities such as Ahmedabad, Katra. o Food booking: If accurate and up-to-date information wasn’t enough, RailYatri also provides meal booking option. Users can enjoy quality food on their seats. o The option of saving the time table and viewing offline. o Alerts (RY Alerts), so you know the time, the cancellations, and the platforms and save yourself a lot of valuable time. o Insights which give you access to railway history, top five routes, most frequently travelled cities, mobile network coverage on your route and more. o RailYatri blog with lovely pictures and travel tales. 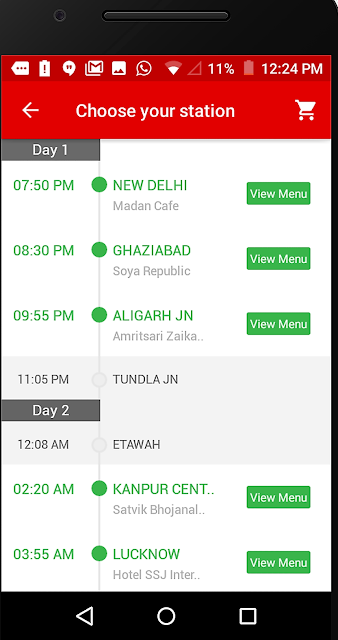 RailYatri app indeed makes train travel simplified for travellers. Recommended for students, business travellers, daily commuters and women.